you've been to the Throne Room. Melanie Hemry quote, from article "Pen Of A Ready Writer" by Ronald C. Jordan. 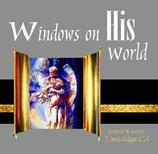 Windows On His World props open the windows of Heaven so wide that people reading it will have an encounter with God. In this book God is so real He cannot be denied - the reader steps into His presence. This book is a progression of individual windows that have been part of Dora Hagge's Christian Journey. Through easy to read stories that are anchored in the Word, the reader will gain valuable insight into God's ways and purposes, and learn how to apply the Word of God to every day life. God's love for one of His children becomes a river where many can drink and be restored. 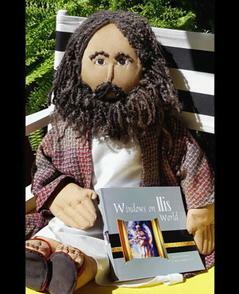 Windows On His World is a book to be savored for many a season. "In this book Dora takes us visually and verbally into God's world. The Scriptures and stories come alive through the words God has given her and the paintings He has inspired her to bring to life. You will find insight, strength, joy, and spiritual encouragement as you look through Windows On His World."